We recycle any car in any condition with or without engines, stripped or whole cars, with or without wheels. All of our recovery drivers are licensed waste carriers - our license number is CBDU226163. We offer free collection between 9am and 9pm Monday to Friday! We do the hard work for you. Here at Tyne Autos we are a family run business that likes to pride ourselves on being friendly and reliable when it comes to moving your vehicle for recycling. We will pay top prices for any scrap car, in any condition with or without engines, stripped or whole cars, with or without wheels. The price we say is the price we pay, tell us you best quote, we guarantee to beat it! We are not a scrap car comparison website so no middlemen or hidden fees to pay. We quote every car individually and you will not get unnecessary phone calls or emails from numerous scrapyards to buy your car. All DVLA paperwork is taken care of. We guarantee to collect and pay for your scrap car within 2 hours. We can also pay cash for certain types of vehicle, all our recovery drivers are licensed waste carriers our no is CBDU226163. By law we are allowed to pay cash for cars that can be repaired and made road worthy again, the cars will be checked over by our team of mechanics to see if they can be economically repaired and made fully roadworthy again. Tyne Autos recycle old cars for cash. Are you looking to scrap your car? 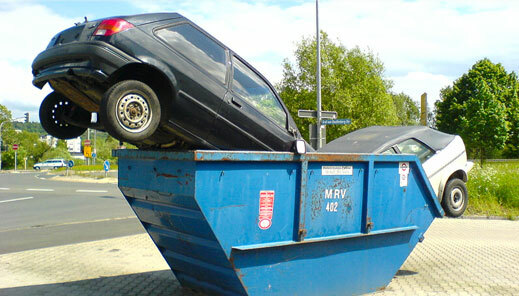 Here at Tyne Autos we understand that when it comes to scrapping or recycling your vehicle it can become a hassle. From finding the location of a scrapyard, making time in your day to deliver the car or arrange collection to working out who offers the best price for your scrap car. Tyne Autos, the premier vehicle recycling, and recovery service in the Newcastle Gateshead, Sunderland, Durham area, offer a comprehensive service covering all aspects of vehicle collection requirements. We will come to a location of your choice and collect your car or van absolutely free within a 15-mile radius of our business. That means we can collect your vehicle from as far South Sunderland and as far North as Ashington with all central and coastal areas in between included. We can also collect from any surrounding area within the North-East by arrangement. Based on Brewery Lane, Gateshead, we are proud of our local roots at Tyne Autos and we cover the entire North-East to provide that local touch for you. We have a fully equipped fleet of specialist lift hiab wagons available and ready and we will work around your schedule to make sure that the process is kept stress free. Vehicle retrieval is available on Tyneside between 8am – 8pm, 7 days a week. In fact, we can often arrange to retrieve your car on the very same day at no extra cost or effort on your part. We are pleased to announce that we also pay for all the cars we recover. For every car that we come to pick up we pay you up to £500, depending on the make and model. To confirm, there is zero charge for recovery of your old vehicle we can pay you up to £500 pounds for every one of the cars and vans we arraign. We also buy cars for sale, if you have a car for sale please leave details on our contact page. Tax, Mot, Condition, Year, Price and we will be in touch. We can offer cash, cheque or bank transfer and offer free collection from Newcastle, Gateshead, Sunderland, Durham, Washington, Darlington, Ashinton, Bltyh & Hexham. Tyne Autos only cover the North-East of England. Enquire online today to find out how much your scrap car is worth (up to £500) and arrange a collection... free of charge!